Around 90 per cent of UK councils and local authorities haven't made a procurement using the government's G-Cloud service, and more than three quarters don't know what they would actually use it for. This is according to figures from a newly released study by data services which points to little adoption of cloud storage by public sector organisations outside the central government. G-Cloud was established to help government organisations – both at a local and a national level – purchase cloud services from a wide range of service providers in the most cost effective manner possible. That network now hosts more than 1,000 suppliers, but a survey of over 300 councils suggests that the majority of local authorities aren't using the service. Only 38 report as having procurements. 87 per cent of local authorities haven't used any version of the service, while just 24 per cent have identified reasons why G-Cloud contracts would be useful to them. Of those, Windows 7 migration and hosting services were pointed to the most. The research points to 76 per cent of local authorities having no knowledge or interest in what G-Cloud can be used for. This shows a worrying gap in understanding between councils in the UK and Whitehall. "These statistics show that there is a communication issue from central government. 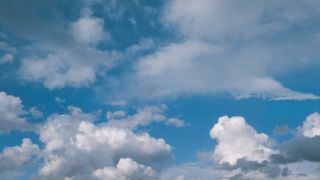 Cloud services have the potential to be revolutionary for the public sector and G-Cloud is a framework specifically intended to make sourcing these services simple," said Campbell Williams, group strategy and marketing director at Six Degrees Group. Earlier this month, Cabinet Office Minister Francis Maude hailed the advances made by government in the digital sector, suggesting that the UK has become a "world leader" in the field.